2 adjustable wrenchs, a screwdriver and an ohm/voltmeter. Did you set the heat setting to low? My Vacuum Chamber Machine is not removing all the air. Generally these machines will remove all the air with a 25 second setting. As time goes on and the oil gets dark and you don't have time to replace the oil, you may have to increase the vacuum time. It should not ever require a setting above 30 seconds. If it does, look for a leak. Most often leaks occur because the lid is not sealing properly. That can be because of alignment or because of a damaged seal. If the seal appears good than the problem is alignment. Single chamber machines have an adjustment screw in the hinge on the right rear to allow for wear. You will have to pull the back panel off the machine and look for a hole in the bottom of the rounded bottom of the hinge now on your upper left. Take a 5mm long allen wrench to tighten the set screw about 2 turns. This will lower the rear corner of the lid and allow it to seal again. There may or may not be an adjustment on the other hinge. Dual chamber machines are different. To adjust them, You must loosen the bolts going through the lid. Loosen them so they can slip but that they are still tight enough that you will be able to tighten them from the outside of the lid without having to have a backup wrench inside the chamber. Then turn on the machne and lower the lid until it pulls down tight and then unplug the machine and tighten all the bolts. It will now be aligned. We have had very few failures in the valves but they could also affect a good vacuum. They are most noticed when they do not let the air back in the chamber. It's likely that the motor is defective. You can disconnect it and put it on another voltage source to see if it will run that way. Watch out if it is 110 or 220 volts. If you have a dual chamber machine, determine which motor is defective by disconecting a motor from the electricity. If you disconnect the defective motor, your machine will run on one motor until you can order a replacement motor from us. I wouldn't work it overly hard until you get the new motor installed but it will help out in an emergency. One of the lights or buttons on my panel don't work Your circuit board is out! You can access it from the front of the machine by unscrewing the screws around the panel. It may be only a simple thing like a loose wire but if not, we have the replacement boards available on our website. Make sure you compare your board to the images on our website. The seal may be intermittent or maybe the bag pulled off so that only one corner is sealed. It could be that your pneumatic sealing system is defective. This is being caused by the air pillow under the sealer strip not receiving the proper amount of air. 1. This can be caused by a hole in the line going to the air pillows. 2. The circuit board not sending a proper signal to the valve. (This can be checked by feeling for a bump in the air valve when the unit is running) 3. If there is no hole and the valve is receiving current, then the valve may be defective. We have various air valves on our website at http://www.texastastes.com/vacuumsealerparts.htm#646658 and below. Compare to what you have. A power wire may be disconnected. 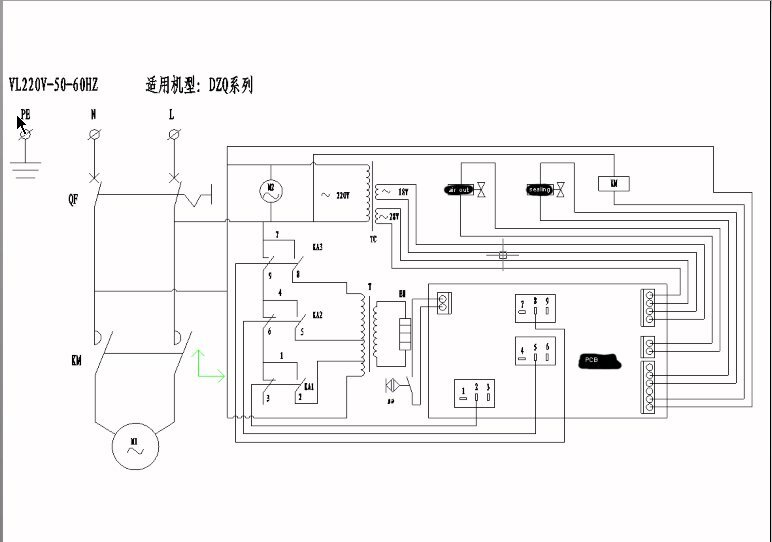 If it is attached, you will want to test the voltage coming from the transformer. If there is no voltage, check if there is voltage going into the transformer. We have the transformers in stock. Most likely a switch is defective. Single chamber machines have a pushbutton under the hinged portion of the lid. A wire may be disconnected or the switch may be defective. We stock them. If it is a dual chamber machine, then there is a switch for each side. The switch for the left chamber is found under the right chamber right inside the door and vice versa. You can test them by depressing the roller end of the switch to see if it activates the motor. If it doesn't, check if there is voltage to it. This is either a circuit board or valve problem.A little harder to check than most problems because there is only voltage to the valve when the motor is running. Do you recommend any parts we should keep in stock? You should keep a few Heating Strips and Teflon Strips, as these have a limited life span. The machines come with a kit of spares, but keep an eye on how many you have left.